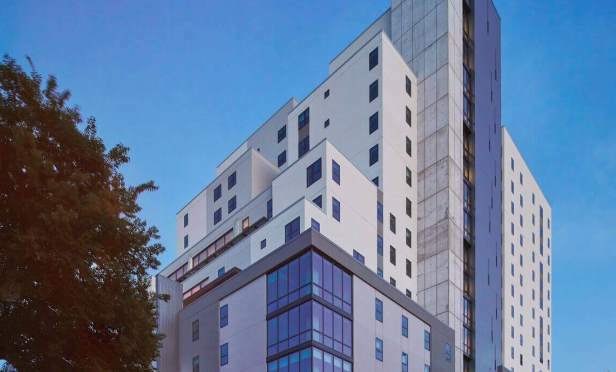 Located adjacent to the University of Texas campus in the center of the West Campus, the 18-story 674 bed class-A building was sold to Nelson Partners Student Housing at an undisclosed acquisition price. The Skyloft building has the first high-rise rooftop pool and fitness center in West Campus. AUSTIN, TX—Recently sold Skyloft is one of the largest single-asset student housing transactions in recent history. Located adjacent to the University of Texas campus in the heart of the West Campus neighborhood, the 18-story 674 bed class-A building was sold to Nelson Partners Student Housing at an undisclosed acquisition price.